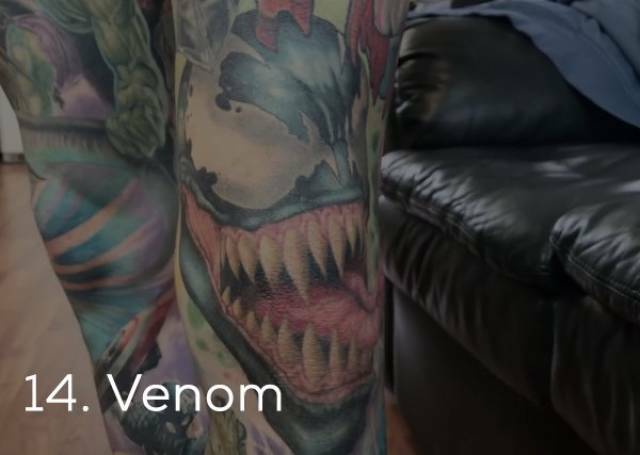 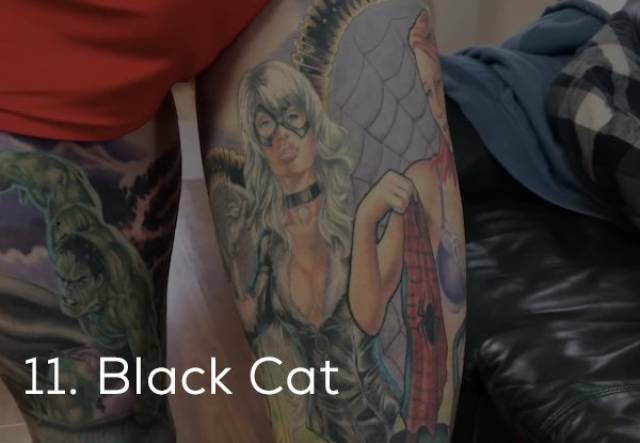 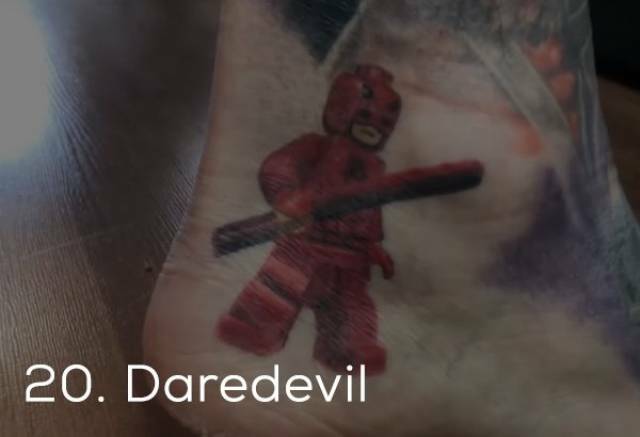 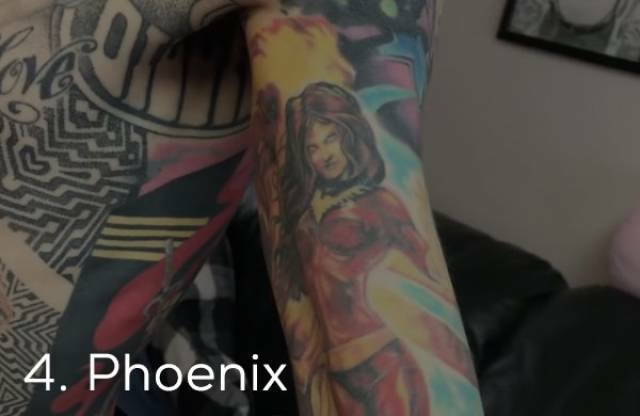 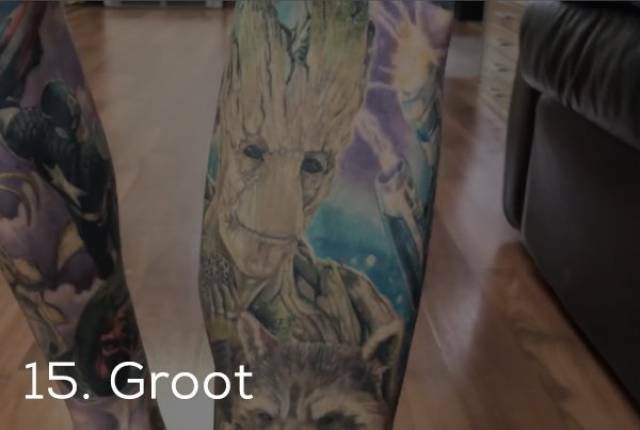 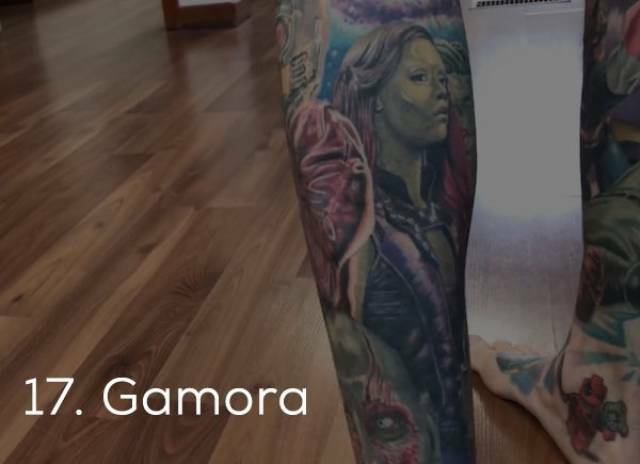 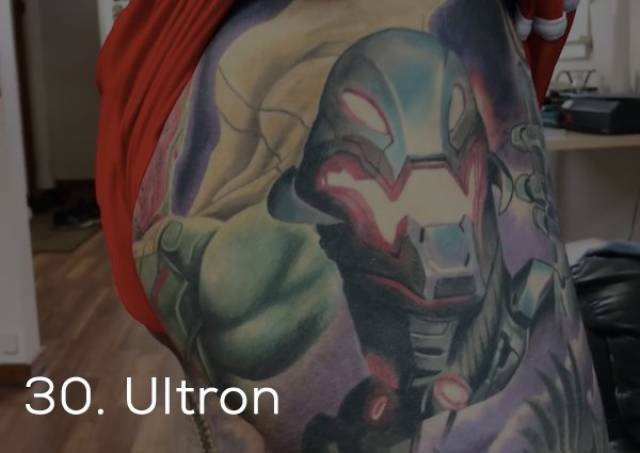 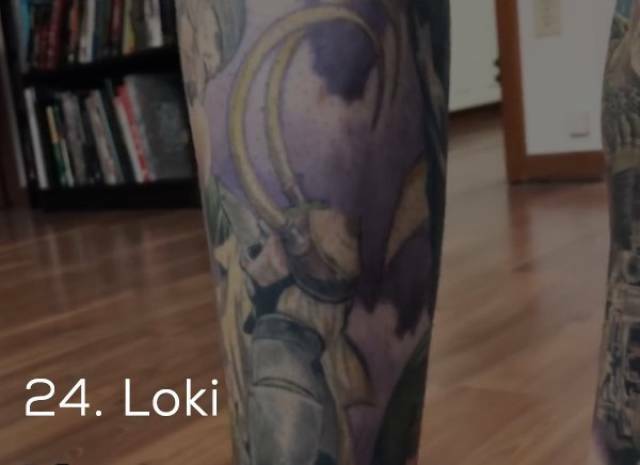 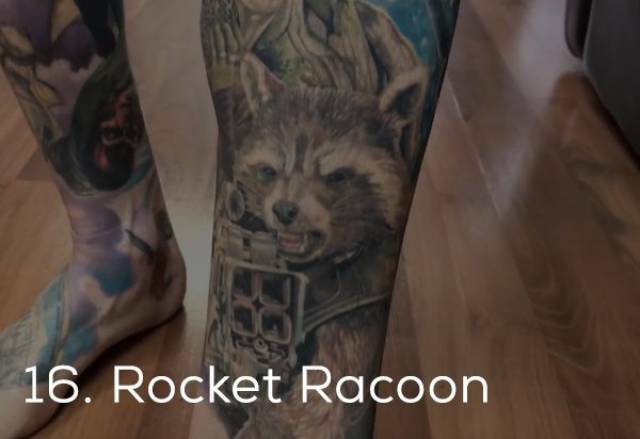 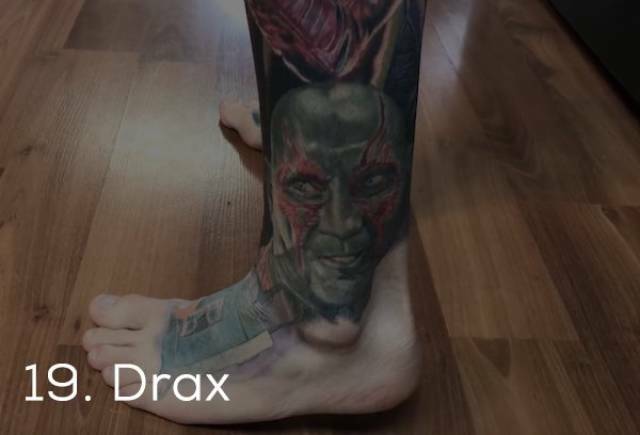 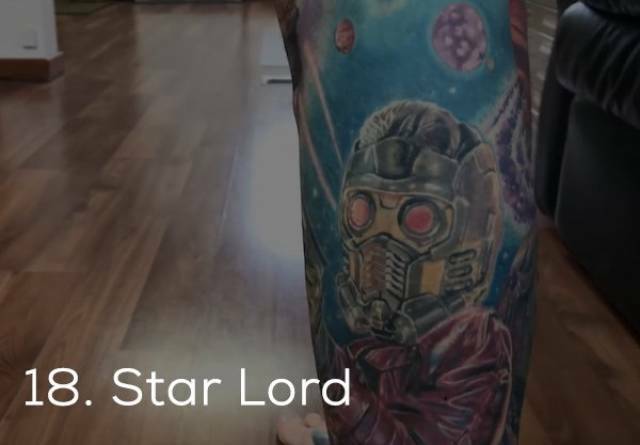 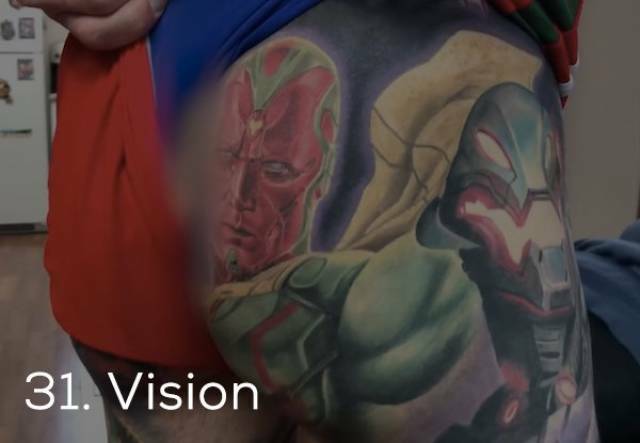 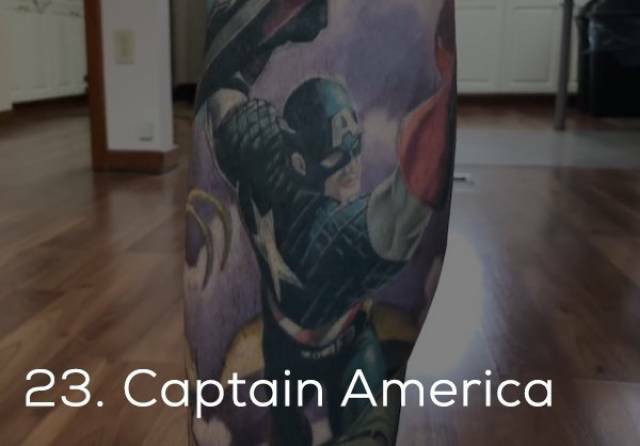 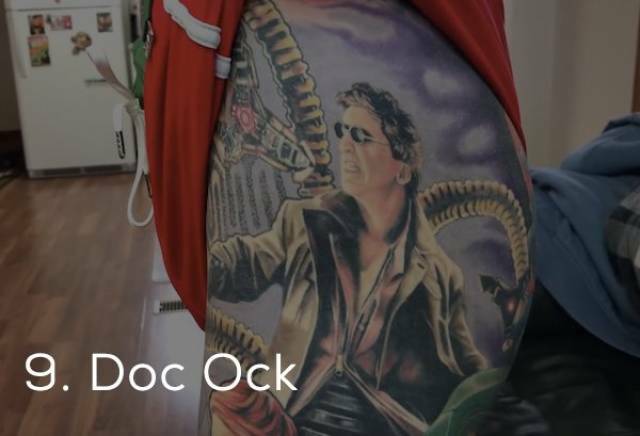 Rick Scolamiero from Edmonton, Alberta, Canada is officially recognized by the people at Guinness World Records as the person with the Most Marvel comic book characters tattooed on the body. 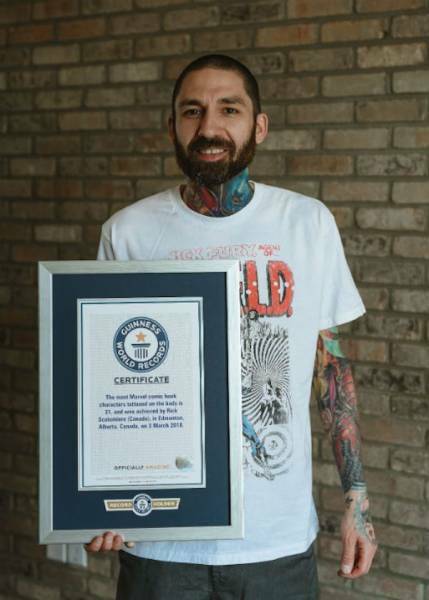 At the time of the award, he was sitting at 31, though I’m sure he’s got more since. 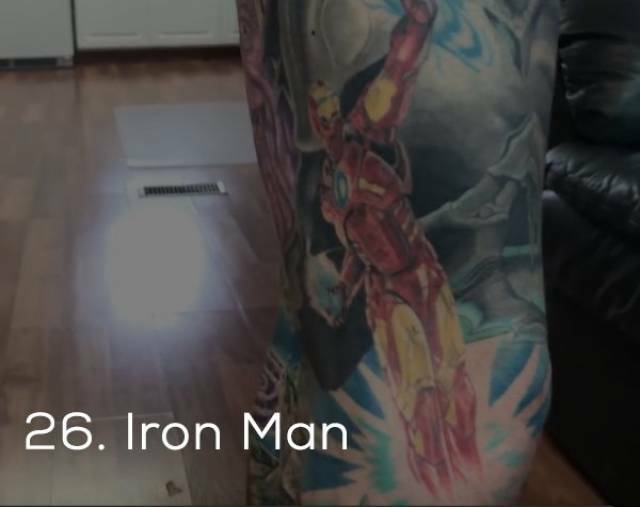 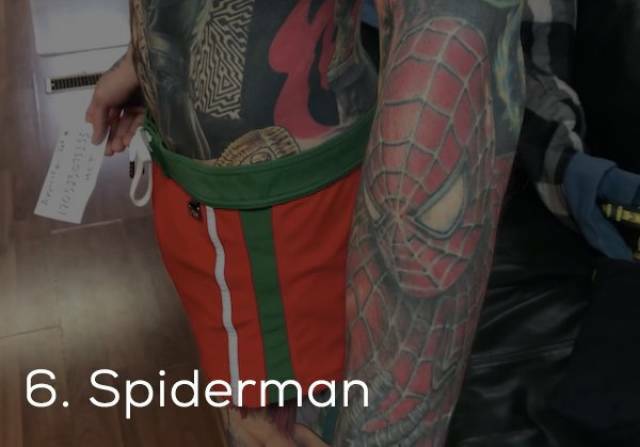 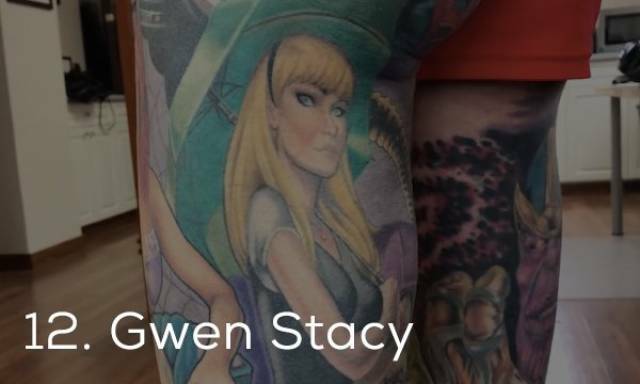 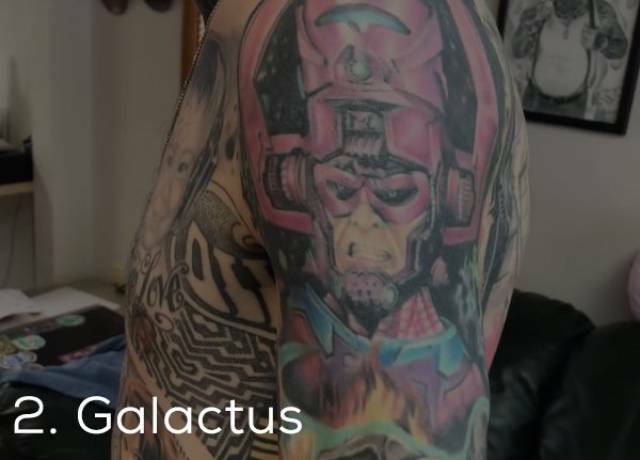 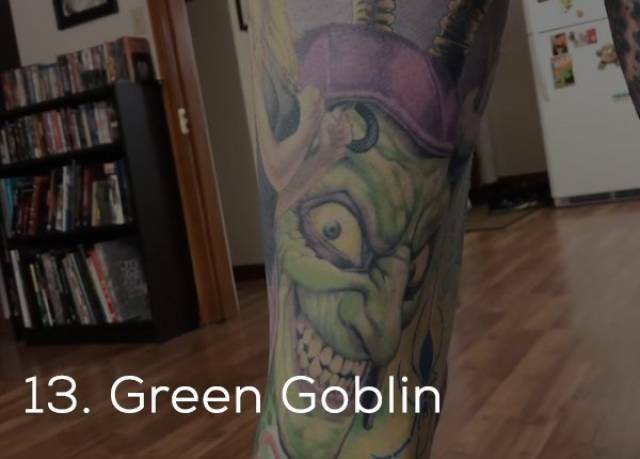 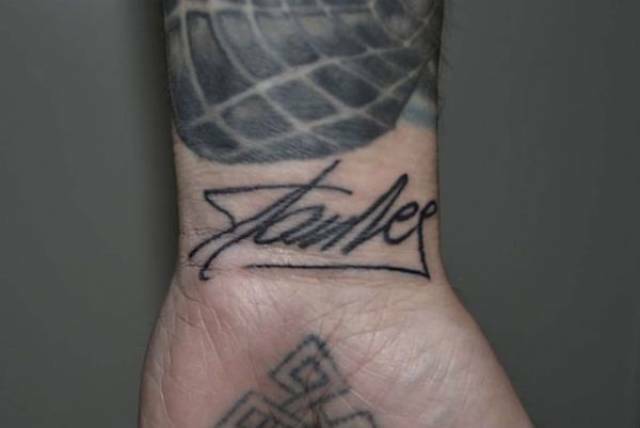 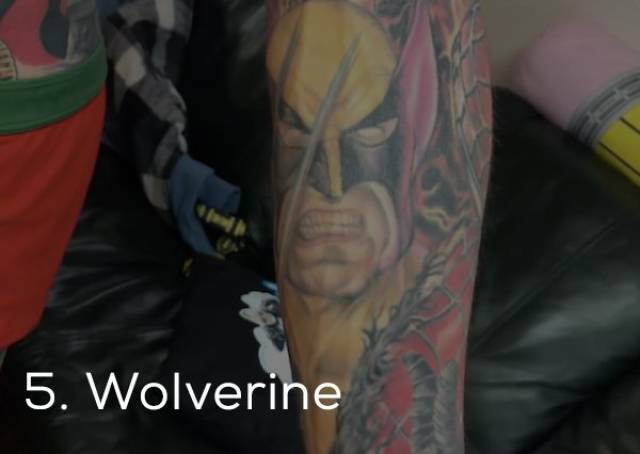 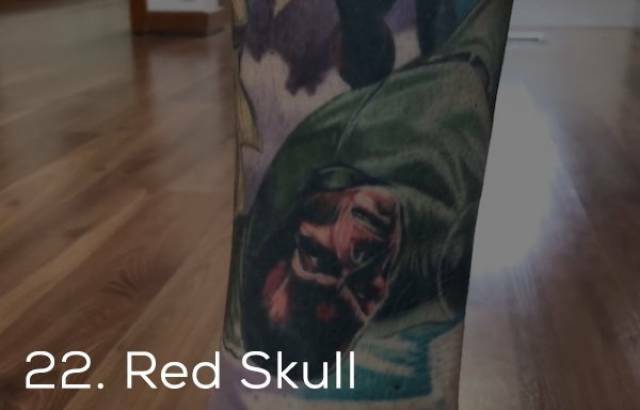 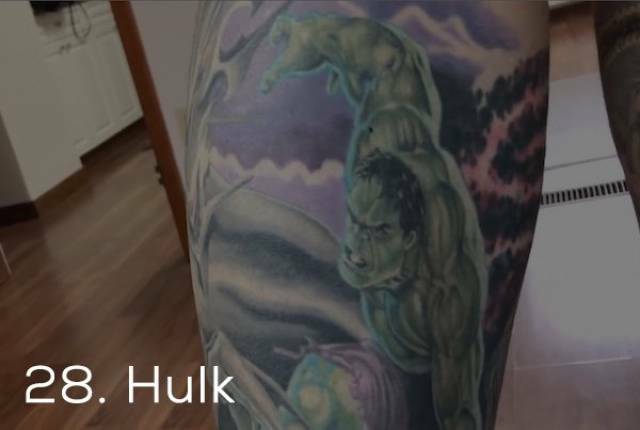 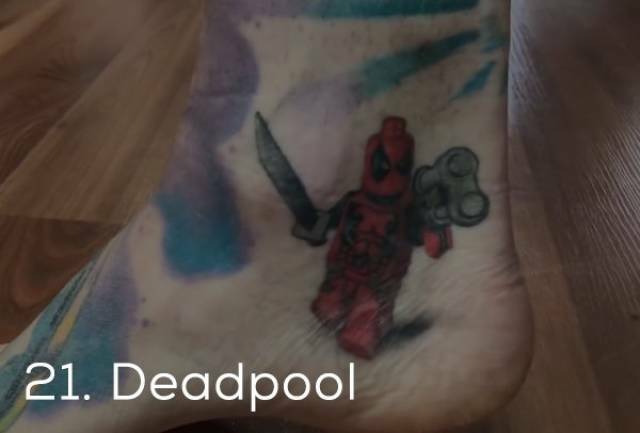 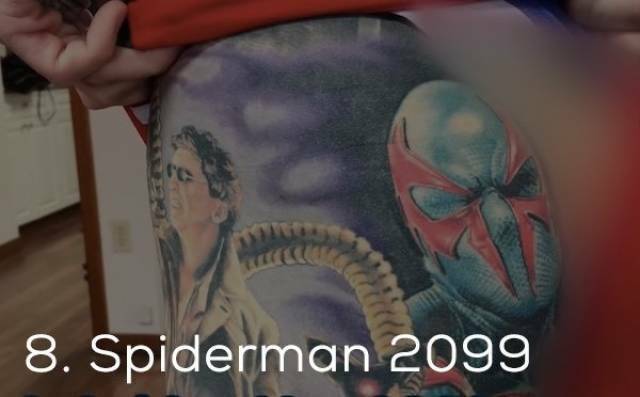 He started back in 2011 with Spiderman, with the intent of just getting a sleeve done. 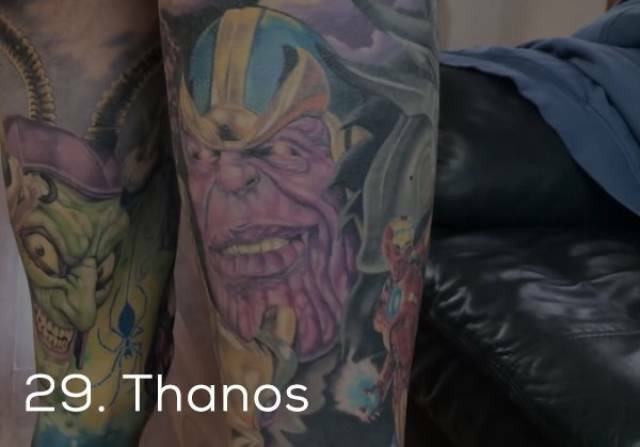 When he saw the work of the artist, however, he wanted more. 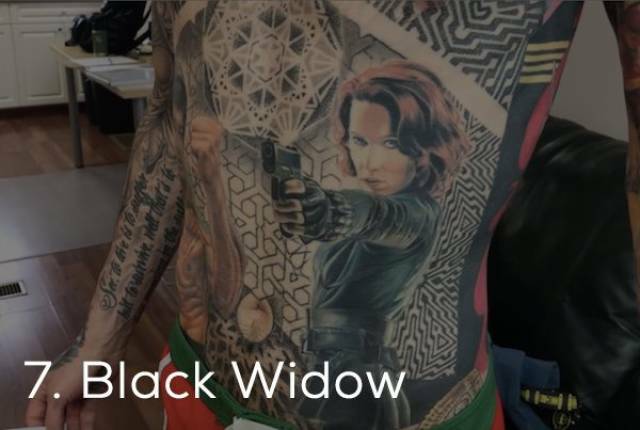 On top of the superheroes, he’s also got Bruce Lee, Tupac, his baby and some geometric designs. 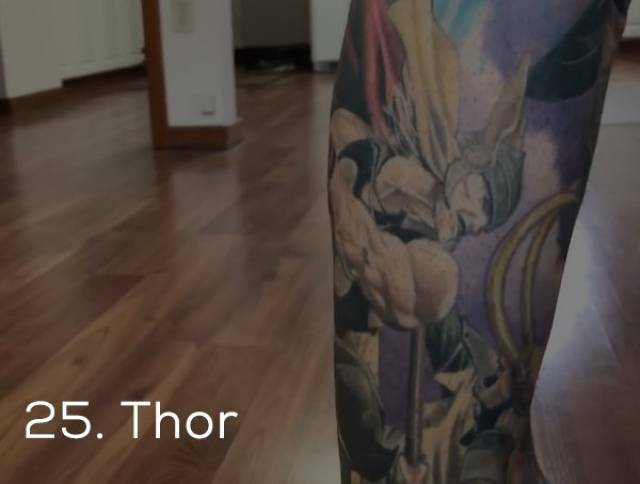 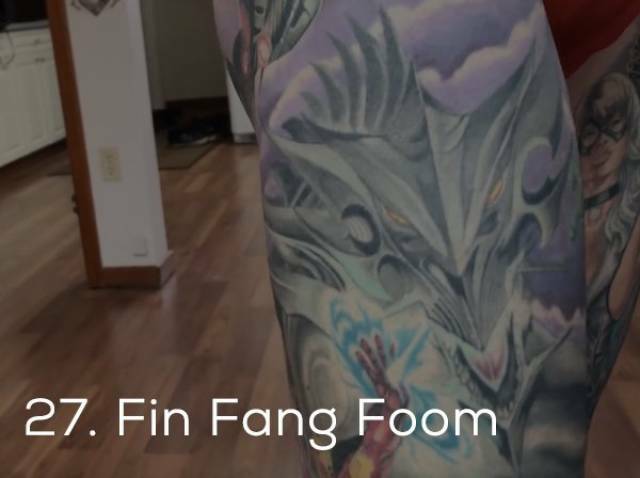 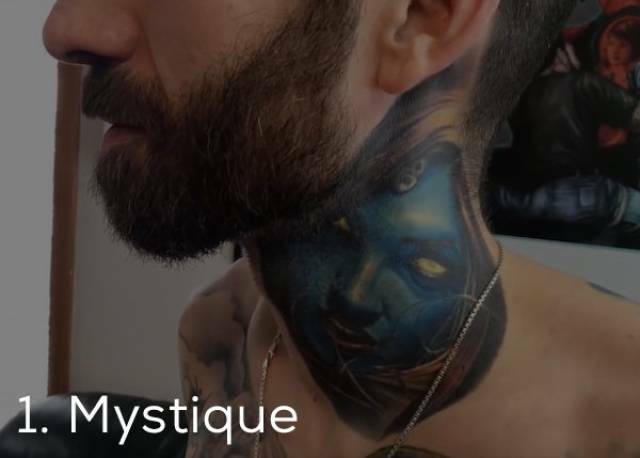 He’s been getting tattooed once a month for the past 7 years – a total of 350 hours of work. 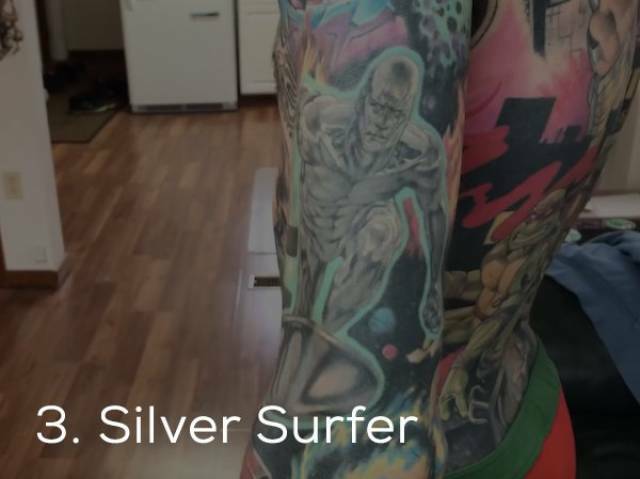 All of it done by Tony Sklepic of Sanitarium Studios in Edmonton.